And Sen. Tom Udall (D-N.M.) announces he won’t seek re-election. Yemen's warring parties exchanged heavy weapons fire overnight in Hodeidah, residents and military sources said, as the United Nations scrambled to salvage a ceasefire deal in the Yemeni port city that is a lifeline for millions at risk of starvation. Netflix adds a big-budget, R-rated movie. The former White House aide said the Trump camp is "good at spin." Anticipation is building around a potential deal with Roku for Apple's new streaming TV service. Gayle and Sarfaraz added 84 runs for the third wicket and in the process gave Kings XI the much-needed momentum. President Donald Trump signed a decree on Monday at the start of a meeting with Israeli Prime Minister Benjamin Netanyahu saying the United States recognises Israeli sovereignty over the Golan Heights, territory that Israel seized from Syria in the 1967 Middle East war. Sen. Tom Udall announced Monday that he would not seek re-election at the end of his term in 2020, writing in a Medium post that "this Senate seat is not my seat." Syria's foreign ministry called the U.S. decision to recognise Israeli sovereignty over the Golan Heights a "blatant attack on the sovereignty and territorial integrity" of Syria on Monday, in a statement carried by state news agency SANA. 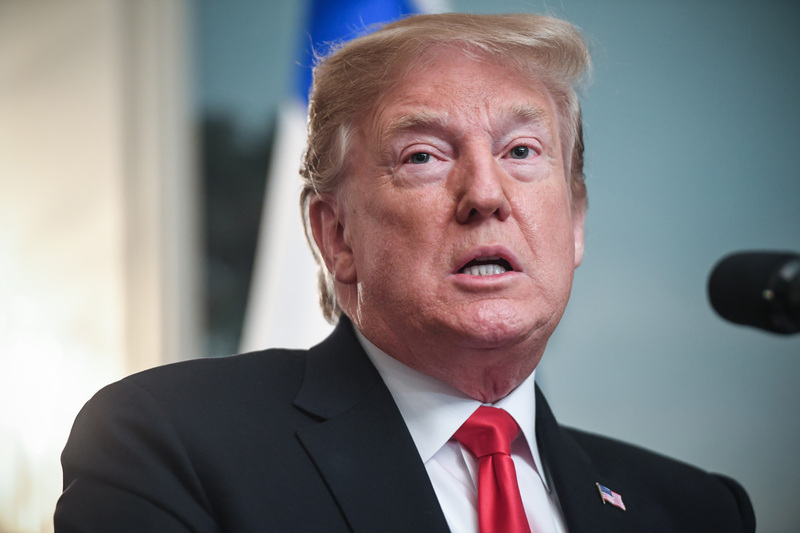 A day after Attorney General William Barr submitted his letter summarizing the Mueller report, President Donald Trump had strong words for the special counsel investigation, saying that "we should never let this happen to another president." Trump also expressed openness to the Mueller report being released to the public. U.S. President Donald Trump on Monday recognised the Golan Heights as Israeli territory in an election boost for Israeli Prime Minister Benjamin Netanyahu, as his chief political rival sought to appear as a better alternative to lead Israel. Grappling with the new Tax Cuts and Jobs Act this tax season? You're in good company. A recent survey by online investment company Betterment found that many people are still trying to figure out the new law. NEW YORK (AP) - A prominent Hong Kong businessman has been sentenced to three years in prison after he was convicted of paying bribes to the presidents of two African countries in a United Nations-linked case. A fierce fight was brewing on Monday over how much of Special Counsel Robert Mueller's Russia investigation findings should be made public, with Democrats demanding a full release and a lawyer for President Donald Trump already saying key information - Trump's written responses in the inquiry - must be withheld. President Donald Trump said Monday that he believes Robert Mueller acted honorably during his Russia probe — seemingly reversing nearly two years of verbal attacks on the special counsel. Trump, after giving a prepared statement with Israel Prime Minister Benjamin Netanyahu, was asked whether Mueller acted honorably throughout his investigation into whether Russia colluded with Trump's presidential campaign. "Yes he did," the president replied. Trump for nearly two years has consistently criticized Mueller, claiming his probe is a "witch hunt" and that Mueller's team is composed of "13 angry Democrats." Late last year, Trump offered one of his sharpest attacks, tweeting that the special counsel's team was a "disgrace to our Nation." “The inner workings of the Mueller investigation are a total mess. “They have found no collusion and have gone absolutely nuts,” he tweeted in November. 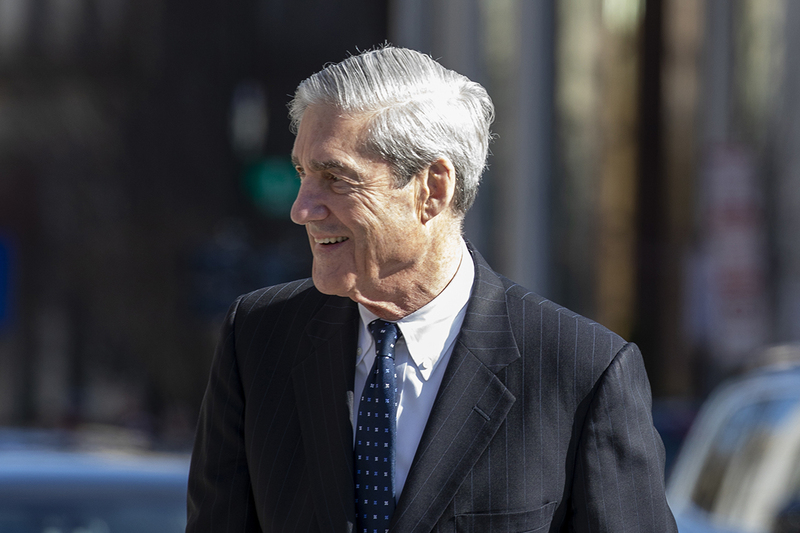 Attorney General William Barr on Sunday released a 4-page summary of Mueller's report which concludes Trump's presidential campaign did not collude with Russia. Barr's summary also states that he does not believe there is enough evidence that Trump obstructed justice. The White House has since said that Trump is completely vindicated and exonerated. Democratic lawmakers, however, have called for the full report to be released. "She's going to hate me after this," Scary Spice said after her story to Piers Morgan about a tryst with Ginger Spice. U.S. Special Counsel Robert Mueller acted honourably, President Donald Trump said on Monday, days after the fellow Republican wrapped up his Russia probe with no evidence of criminal collusion between Trump's campaign and Moscow. New Jersey is one of the 12 worst states in the country to be a woman, according to a new ranking that looks at the wage gap, access to birth control and violent crime. Former communist militant Cesare Battisti has admitted four murders carried out in the 1970s, weeks after being jailed in Italy for the killings that were part of a failed bid to spark a far-left revolution. Battisti, 64, admitted all the charges brought against him in four murder cases during Italy's so-called "Years of Lead," Milan prosecutor Alberto Nobili was quoted as saying by Italian media on Monday. He also admitted that armed revolution was wrong, Nobili said. Nobili, who questioned Battisti at a high-security prison in Sardinia for nine hours over the weekend, said it had "felt like I was watching the liberation of someone who was initially embarrassed, troubled." Nobili quoted Battisti as saying: "I realize the wrong I have done and apologize to the families." Italy's far-right Interior Minister Matteo Salvini told journalists he now expected "these pseudo-intellectuals on the left who for years cuddled this murderer also to apologize." Jailed in 1979 for belonging to an armed revolutionary group outlawed in Italy, Battisti escaped from prison two years later and spent nearly four decades on the run. An international police operation eventually tracked him down and arrested him in Bolivia in January, before he was extradited to Italy. Battisti was sentenced in absentia to life for having killed a policeman and a prison guard; for taking part in the murder of a butcher who was also a far-right militant; and for helping plan the slaying of a jeweler, who died in a shootout that left his teenage son in a wheelchair. Apologies 'out of place' The murdered policeman's brother Maurizio Campagna said "apologies now seem out of place". "I think his lawyer is advising him so he can have his sentence reduced," Campagna told Italy's Sky TG24 television. Battisti is serving his sentence in a Sardinian prison housing more than 250 convicts, many of them living under the tough "41-bis" prison regime usually applied to Mafia members. His lawyer Davide Steccanella said the statements weren't made "for possible benefits, the hope was to give [my] client back a fair image, not that of someone who could strike again, as he has been described." Battisti admitted the killings "little by little ... not as a flood," Nobili said. "The armed struggle prevented the development of a cultural, social and political revolution which, from the events of '68, would have been absolutely positive," Nobili quoted Battisti as saying. After his jailbreak, Battisti had reinvented himself as an author, writing a string of noir novels. In 2004, he skipped bail in France where, like many other far-left Italian militants, he had taken refuge. He then went to live clandestinely in Brazil until he was arrested in 2007 in Rio de Janeiro. After years in custody, then-president Luiz Inacio Lula da Silva issued a decree — later upheld by Brazil's Supreme Court — in 2010 refusing Battisti's extradition to Italy, and he was freed, angering Rome. But earlier this year, Battisti was seized without a struggle in the Bolivian city of Santa Cruz de la Sierra in an operation carried out by a joint team of Italian and Bolivian officers. Years of Lead Until now, he had admitted to being part of the Armed Proletarians for Communism, a radical group that staged a string of robberies and attacks, but always rejected responsibility for any deaths, painting himself as a political refugee. Italy's Years of Lead was a decade of violence which began in the late 1960s and saw dozens of deadly attacks by hardline leftwing and rightwing groups. During his election campaign, Brazil's far-right President Jair Bolsonaro vowed that if elected he would "immediately" send Battisti back to Italy. Battisti, who has a five-year-old Brazilian son, in 2017 told AFP he would face "torture" and death if he were ever to be sent back to Italy. Italian authorities are still hunting 30 "terrorists" on the run abroad, 27 from the left and three from the right. Fourteen of those being sought are believed to be in France. The UK needs heroes amid its Brexit nightmare. It has found one in Peter Messervy-Gross, who has managed one of those feats of pointless derring-do beloved of the British. Seven people were arrested Monday by police in Pakistan in connection to the alleged abduction, forced religious conversion and illegal marriage of two minor Hindu girls, according to local media reports. Theresa May says the best path forward is for the UK to leave the EU with a deal on 22 May. Yale University has rescinded the admission of a student linked to the national college admissions scandal. WWE wrestlers Ronda Rousey, Charlotte Flair and Becky Lynch are set to take center stage in April. The Reimann family, with stakes in well-known brands like Krispy Kreme and Pret A Manger, have discovered that their predecessors used forced laborers. It's 1999, and Larry, a lapsed Jew from Brooklyn, is at his sister Dina's house in Memphis for their father's funeral. Charlottesville High's Black Student Union has had enough of its city being used as a staging ground for violence. Jeremy Corbyn criticises the "dangerous and irresponsible" comments from Theresa May about the delay to Brexit. An Austrian court has sentenced a dog owner to six months in prison after her Rottweiler mauled a toddler who died of his injuries weeks later. Special Counsel Robert Mueller informed top U.S. Justice Department officials three weeks ago that he would not be reaching a conclusion on whether President Donald Trump had obstructed justice during the probe into Russian interference in the 2016 election, a U.S. Justice official said Monday. The networks’ fixation on scandal over substance is one reason their coverage of the president has been so preposterously lopsided. President Trump on Monday said special counsel Robert Mueller's investigation wound up the way it should have, and it wouldn't bother him if the report were made public. "Up to the attorney general," he told reporters at the White House. "Wouldn't bother me at all." A star of MTV’s “Teen Mom 2” series sounded off on the network in a series of tweets in which she revealed the behind-the-scenes drama and her displeasure with the way she’s been portrayed on the reality show as of late. Hackers were able to deliver malware to the more one million-plus Asus computer owners last year by hijacking the company's software update system, security researchers said on Monday. Richman's death comes just over a week after Parkland shooting survivor Sydney Aiello killed herself and a second student from the school died in an apparent suicide. Jenny Holzer is one of America's most the incisive and respected conceptual artists. For four decades, her text-based works have been object lessons in the power of empathy and a conduit for the shared -- if troubled -- human experience, touching on everything from war, patriarchy and the AIDS crisis to gun violence and dangers of everyday life. The apparent about face comes after nearly two years of consistent attacks on the special counsel by the president. Mueller Just Gave Democrats a Gift. Will They Take It? The Democrats are showing no signs that they’re going to give up on Robert Mueller and the Russia investigation. Speaker Nancy Pelosi and Senate Minority Leader Chuck Schumer are demanding the public release of the full Mueller report and raising questions about whether there is evidence President Donald Trump committed obstruction of justice. House Judiciary Chair Jerry Nadler announced he would be calling the Attorney General William Barr to testify. Democratic and progressive legal analysts are picking apart Barr’s letter to suggest a cover-up. Others are shifting their hopes to the remaining outstanding investigations into the Trump campaign, Trump Organization and Trump inaugural committee. In the interest of historical posterity and legal accountability, these may be legitimate threads to pull. But as a political matter, Democrats, you’re doing it wrong again. It’s time to move on. Robert Mueller has done you an enormous favor. Trump is not going to be impeached. Trump is not going be hounded out of office early. Trump is not going to be branded a criminal in the court of the public opinion. The hope of short-circuiting the Trump presidency through legal channels is no more. For the special counsel to have avoided any collusion-related charges is a clear victory for Trump. The coming victory laps are sure to be insufferable for Democrats to watch, but Democrats need to get over it. By not alleging any illegal collusion, Mueller has liberated Democrats from chasing the impeachment unicorn, which was always a political loser and a substantive dead end. If the Democratic House ever impeached, the Republican Senate was never going to convict, and may not have even held a trial. Impeachment had appeal only to the Democratic base, while doing little for the voters in swing areas who just delivered Democrats the House majority and hold the key to retaking the White House. Again and again, during the decades since Watergate, opposition parties have tried and failed to exploit scandals for electoral gain. In the wake of various allegations of ethical misconduct in the Ronald Reagan administration, Walter Mondale campaigned in 1984 against the “sleaze factor,” yet Reagan won in a landslide. After the Iran-Contra scandal exploded, Michael Dukakis said, “a fish rots from the head first,” but that didn’t thwart George H. W. Bush’s ascension to the presidency. In 1998, House Republicans moved toward the impeachment of President Bill Clinton shortly before the midterm elections; the resulting backlash helped Democrats gain House seats and contributed to the ouster of Republican Speaker Newt Gingrich. During the first term of Barack Obama’s presidency, Republicans sounded the alarm over “Solyndra” and “Fast and Furious,” only to see Obama win re-election. In all of those cases, regardless of the severity and accuracy of the charges, voters proved less interested in presidential scandals than presidential job performance, especially on the economy. Conversely, when the opposing party parades its investigative zeal, it can look more interested in scoring political points than governing. Opposition parties often gravitate toward a focus on scandal because the incumbent president’s popularity leaves them with few other options to flip the political script. With Donald Trump, this is not the case. His job approval has been underwater from the beginning of his presidency, and has remained so despite the growing economy. Democrats successfully ran against Trump’s health care and tax policies in 2018. Trump’s fondness for dictators, and white nationalists’ fondness for Trump, continues to disturb. Trump’s trade war is unnerving farm states. Democrats have plenty to say about Trump’s white whale of a border wall and his horrific policy of refugee child separation, and they are eager to challenge Trump on climate change. This is a target-rich issues environment for Democrats. They don’t need an indictment or an impeachment to make their case against Trump. Granted, because there are unanswered questions, House Democrats can’t move on abruptly without disappointing the party base. To fail to demand the full Mueller report and press Barr on his letter would open the Democratic leadership to charges of delinquent oversight. Nevertheless, this is the main question Democrats should be routinely asking between now and Election Day: How is Trump governing? As soon as possible, House Democrats should take the conclusion of the Mueller investigation as an opportunity to focus its oversight duties on the present. So long as the economy is growing, Trump will be trying to take credit. A good economy is often all an incumbent president needs for re-election. However, Trump isn’t your typical incumbent. He wasn’t able to reap the benefits of economic growth in 2018, because Democrats successfully zeroed in on Trump policies, especially on taxes and health care, that ran counter to the desires of most working families. Today, Trump barely has a legislative agenda. In turn, Democrats have the opportunity to further the narrative that Trump is a threat to sustainable economic growth, middle-class prosperity and global stability. It won’t matter if Mueller had evidence of obstruction of justice. It won’t matter if the Southern District of New York finds campaign finance violations. It won’t matter if Trump’s inauguration committee took illegal payments or if the Trump Organization lied about its assets to Deutsche Bank. Many voters won’t care that Trump is a grifter if they believe Trump has made their own lives better. The Democratic challenge is to show that he hasn’t. Thanks to Mueller, Democrats are a better position to do just that. Time to let it go. U.S. Special Counsel Robert Mueller acted honorably, President Donald Trump said on Monday, days after the fellow Republican wrapped up his Russia probe with no evidence of criminal collusion between Trump's campaign and Moscow.